Laura Rutledge Named New Host of SEC Nation - ESPN Press Room U.S.
SEC Network rising star Laura Rutledge has been tabbed as the new host of the national network’s traveling pre-game show SEC Nation, featuring Tim Tebow, Marcus Spears and Paul Finebaum. Rutledge was a reporter on SEC Nation last season and hosted the network’s studio show SEC Now year-round. She will replace the show’s previous host Maria Taylor. Rutledge joined ESPN and began working on SEC Network in 2014. She has covered a wide range of college sports as sideline reporter including football, basketball, softball and baseball. 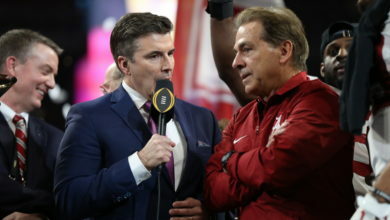 In addition to traveling with SEC Nation last fall, Rutledge was the sideline reporter for ESPN’s Thursdays Night Football Game. She also hosted more than 200 SEC Now shows and became an unofficial co-host on The Paul Finebaum Show, joining Finebaum in-studio several days a week. 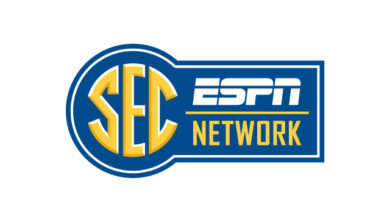 SEC Nation has been traveling the Southeastern Conference for three seasons. The show has brought national viewers the sights, sounds and tailgating taste of every SEC campus on game day, as well as flavor from the neutral site Florida-Georgia game in Jacksonville, Fla. and an annual trip to the SEC Football Championship game in Atlanta. ESPN’s Joe Tessitore was the show’s host at launch, 2014, and Taylor hosted last season. Taylor will now contribute to ESPN’s College GameDay and provide sideline reporting for ABC’s Saturday Night Football Game. Gracie is the Communications Manager for ESPN’s College Networks. She handles all media requests and questions concerning SEC Network and Longhorn Network. Gracie also supports on college sports airing across ESPN networks.